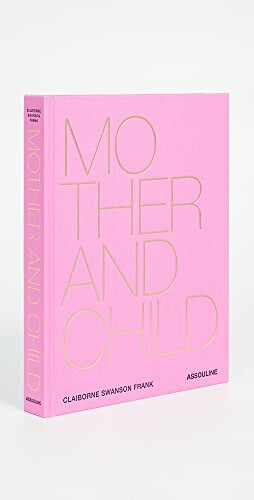 In case this isn’t super-obvious, I am not an expert on anything baby or motherhood and I don’t know what I’ll actually end up using those first few months. But you wanted to know what I registered for and I have lots of friends with babies who helped me put my registry together. I’ve already talked about how and why I registered with Babylist. It’s the best (I talked about why here) so you really should sign up if you need to register for a new baby. I feel like I did a pretty decent job – with the help of my friends, of course – or at least I hope so. After a few months with baby, I’ll follow-up with what we actually used and didn’t use. But for now, here it is. My registry. 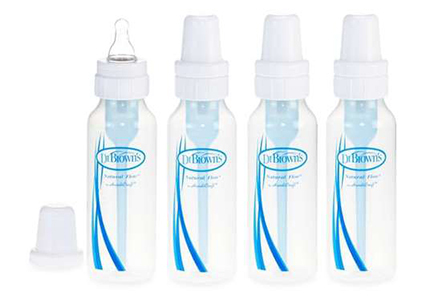 Dr. Brown’s Bottles: I ended up buying 3 other types of bottles (just 1-2 each) to test out in case baby doesn’t like these, but they’ve been around forever and my friend Maura swears by them. 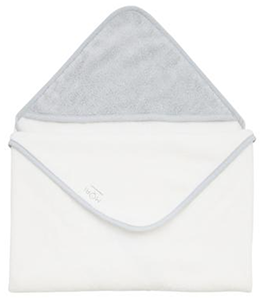 Burp Cloths: These are soft and simple. I didn’t want anything too busy, so I assume they’ll do the trick. I bought one pack of 5 and have no idea how many I’ll actually need. 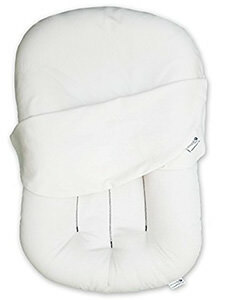 Linen Nursing Pillow: Everyone seems to have one of these and I can’t decide if they’re gimmicky or not. As with everything else, I’ll let you know if I like it. Mini Mat: These things are AMAZING. I haven’t used it yet but I’m going to go ahead and say that I know I’ll love it. I put it on our counter and could. not. 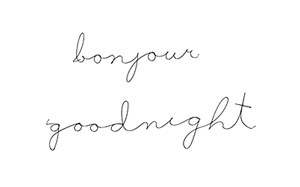 knock. it. off. Seriously the coolest. 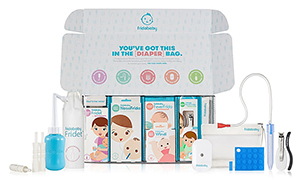 Breast Pump: I went through Ashland Health who got my pump for me with my health insurance – easiest process ever! 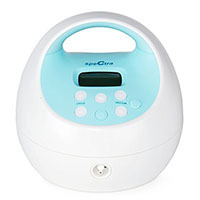 They recommended that I get the Spectra and since I didn’t have any interest in researching breast pumps, I listened to the experts on this one. 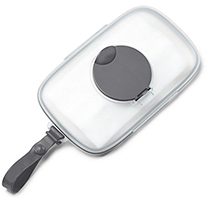 Gathre Mat: These just seem so great for picnics or even hanging out in our yard. 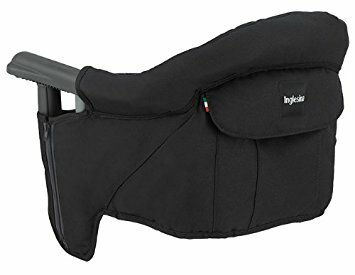 I can’t remember who recommended the midi size, but one of my friends said that’s the one to get – perfect for under high chair, playing, picnics etc. I registered for a mini for diaper changes, too. 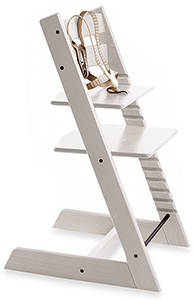 Tripp Trapp High Chair: I went with this for a few reasons. 1. It’s not ugly. 2. It works for babies, toddlers, and young children 3. 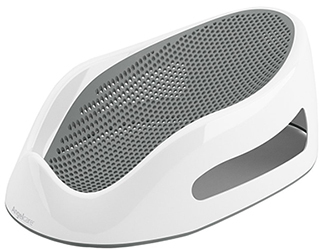 It was designed to pull right up to your dining table. Have a feeling we’ll love this one, but it’ll be a while before I can let you know! Bottle Drying Rack: This felt like one of those items no one needs but it turns out almost everyone I’ve spoken to loves this thing. So I got one. And I’ll let you know how it goes. Table Chair: My friend Kelly said I HAD to have one of these. 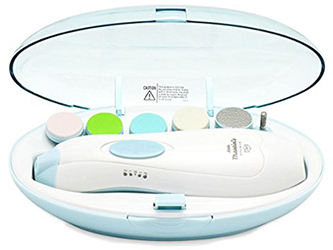 We can use it at the kitchen counter or when we go to a friend’s house? Like I said, I don’t know anything. 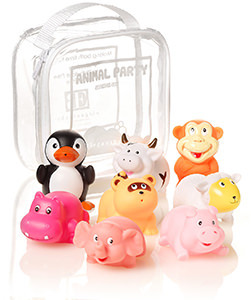 Squirtie Bath Toys: They’re cute. She has to love them, right? 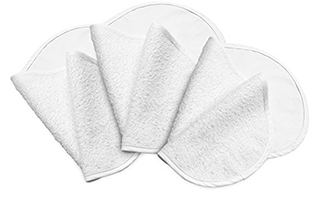 Washcloths: Soft and budget-friendly. Hoping they’ll do the trick. 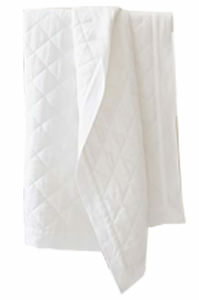 Bath towels: I love Mori’s clothes so I registered for 2 of these towels. Do I need more than 2? I feel like I really shouldn’t be writing this post. Haha. 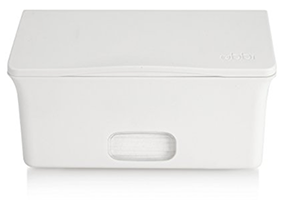 Baby Bath: So I accidentally registered for this bath which should last us 6+ months and the puj tub, but the puj is so soft that I plan on using that in the beginning. I’ll test both and let you know which one I like more. Shampoo and Body Wash: I love Burt’s and after doing a little research, decided to register for it. It’s natural soap so I feel like this should work out. 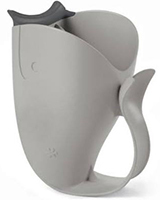 Moby Rinser: Mildly gimmicky but I don’t know what else I’d use and it’s kinda cute, so here we are with a plastic whale that rinses water out of baby’s hair. 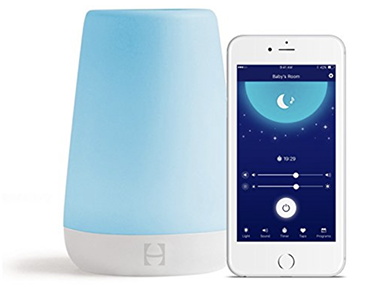 Night light: Ok this seems amazing and the reason I registered for it was that I can set it to turn a certain color when she’s older and she’ll know she can’t leave her room until it’s that color. Genius. 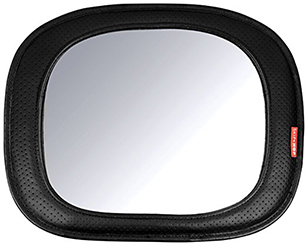 Nanit Sleep System: I never added a monitor to my registry but realized I probably needed something. So I did a little research and decided to splurge on the Nanit. Not having to carry around some extra monitor sounds really nice, and we can track baby and her sleep from literally anywhere. Brilliant. Use this affiliate link for $20 off your next order! 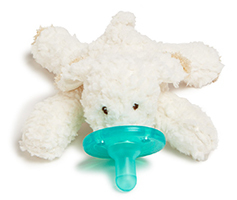 Pacifier: Most of my friends have used these but we’ll see if she likes them. So cute though, right? 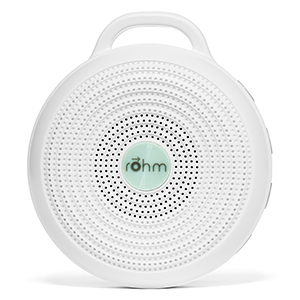 Portable Sound Machine: This little guy charges with a USB and can be used anywhere. 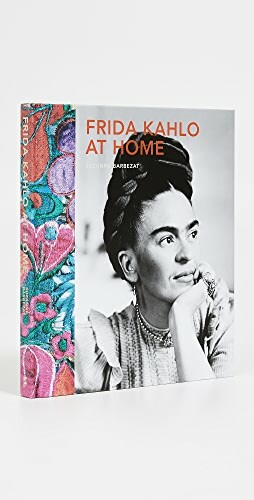 Newborn Care Kit: Enough friends swore by a few of the Baby Frida products so I figured I should just get all of them. 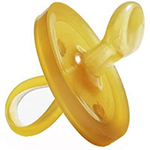 Wubbanub: These are the cutest and seem practical enough so I registered for two of them. Teether: I actually didn’t register for this one (almost did – has great reviews!) but my friend Gina got it for me anyway and said it was one of her daughter’s favorites. Body Lotion: I’m from LA so baby is half Californian, right? Had to. But in all seriousness, this brand came highly recommended and is all-natural, so I’m excited to try it. I’ve also heard great things about Tubby Todd, so that’s a brand I plan to try, too. Detergent: So I am extremely wary of toxic chemicals in cleaning products. Always have been (I’m talking since high school). We’ve been using this for a year or two and I really love it, and it’s safe for baby, so I’ll let you know how it goes with baby stains. Stain Remover: We already use this so I hope it works for baby stains! 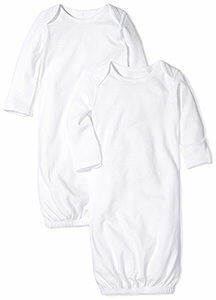 Swaddles: I was told not to get too many swaddles and blankets but think I have about 5 muslin and 4-5 cotton. Now it feels like I have a lot but I think I’ll probably put them down on everything, right? Maybe I did ok there? I’ll let you know! I also got 2 specifically for the hospital. 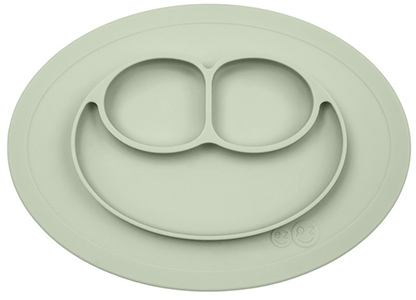 Outlet Covers: One of my friends told me her baby proofer used these and that they’re great because babies just can’t get in there. I don’t need to baby proof just yet but plan on using these. 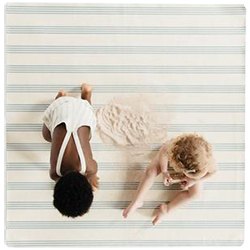 Peanut Changer: The changing mat that apparently everyone needs. 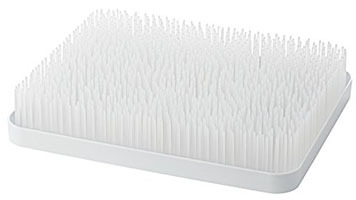 Wipes clean easily and has a nice minimalist look if that’s what you’re going for. 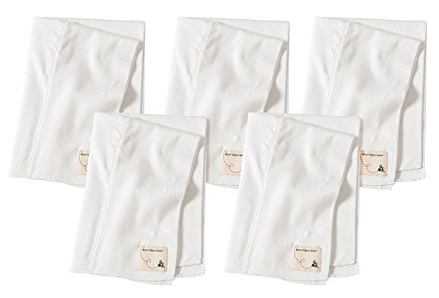 I did get a few changing pad liners to put on top when it’s cold since they’re so easy to wash.
Baby Wipes: I can’t remember if a friend recommended these but I love that they don’t have any harsh chemicals. 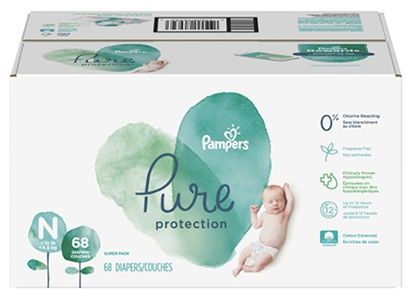 Pure Diapers: I really, really want to give cloth diapering a go. 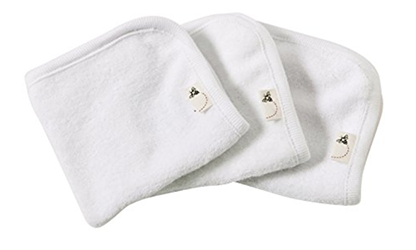 Two of my close friends have done it and they make the most sense to me, but attempting that when baby goes through 10+ diapers a day sounds a little difficult, so we’re starting with these. 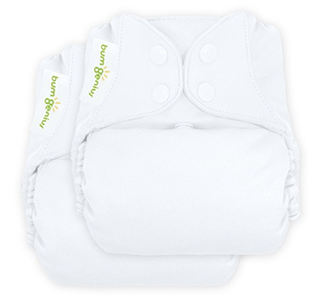 BumGenius all in one diapers: These are the diapers both my friends used so I have a few to start. One said to just get a bunch and commit but there’s part of me that’s still a little nervous. Conor couldn’t be less into it but he also doesn’t get my love of all natural cleaning products and you’re dealing with poop either way. They safe so much money, so much trash (although I’d for sure switch to biodegradable diapers as soon as she’s out of newborn and plan on trying a few), and babies usually potty train faster, too. I’ll let you know what we end up doing! 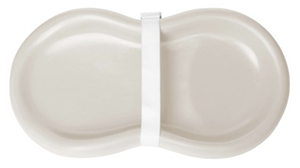 Wipes Dispenser: Everyone seems to have this on their registry – or at least my friends do – and it seems much easier than having to open one of those little cases the wipes come in once baby starts moving around a lot. Diaper Cream: My friend Katie said to get this one. Diaper Pail: This came recommended by friends, too. The Snoo: I was lucky enough to partner with Happiest Baby who gifted us with the SNOO, but it’s something that most of my friends recommended and swore by. 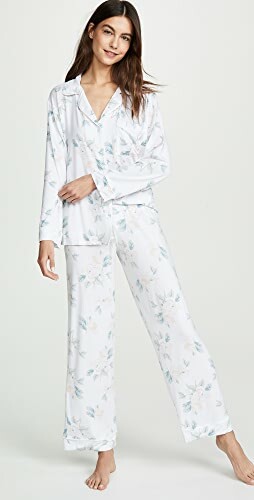 I know it’s an investment but it’s one I would have invested in either way because sleep is so important to me. 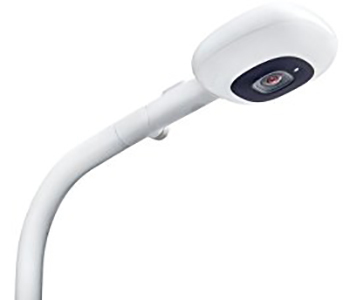 I’m starting Taking Cara Babies class soon and she said she loves the Snoo, and as always, I will report back with an honest review of how it worked for us. 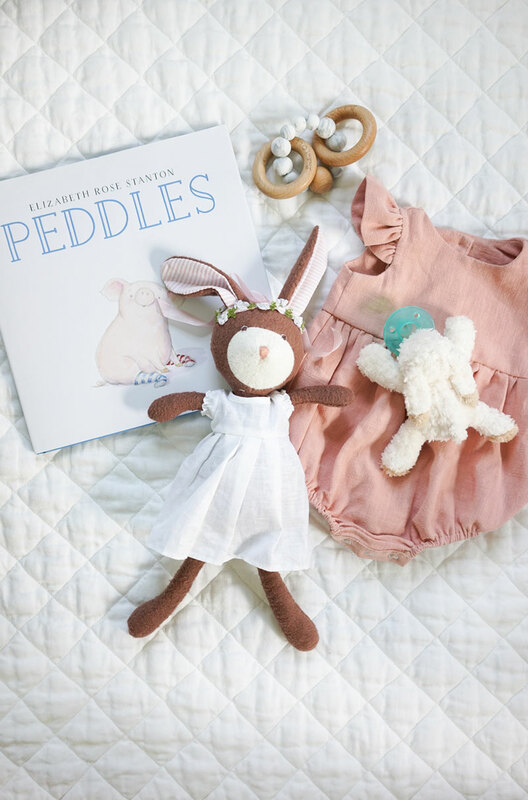 Snuggle me Organic: My friends love this one, too, and when it came down to it, I just think it’s a lot cuter than the Dockatot (the logo on that thing is massive). 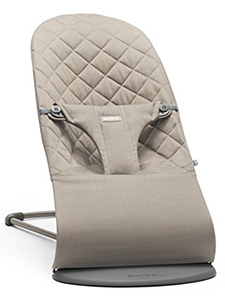 It’s so soft and fits perfectly in a Moses basket – seems like a cozy place for baby to hang out. Bouncer Bliss: Again with the friend recommendations, but I love the look of this one and the fact that children can sit in it as they get older. Nap and Pack basket: Probably not “necessary” but so cute, and it’ll be great toy storage when she’s too big to fit inside. 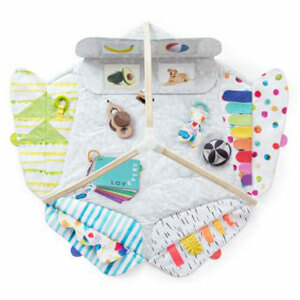 Bloom Bouncer: This was gifted by Bloom but is something I would have purchased for it’s appearance (so simple and so cute) and the fact that it folds flat and comes with a carrying case. 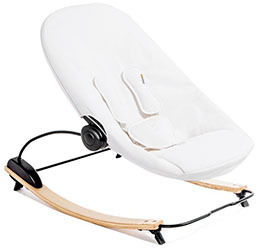 If I find that I need a mamaroo or some sort of swinging contraption I’ll order one, but didn’t want to get too much for now. 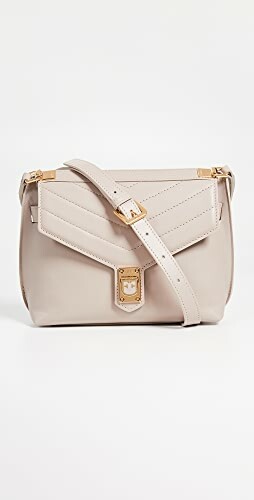 Diaper Bag: Another recommendation from my friend Maura, and I was lucky enough that the brand offered to send one to us, but again, would have purchased it since it’s gorgeous and so functional. 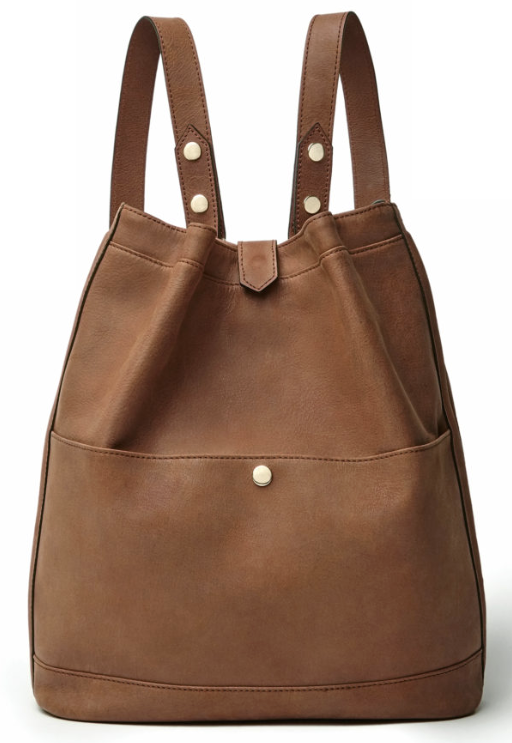 It straps to the stroller like most do, but is (at least in my opinion) much prettier than most diaper bags. 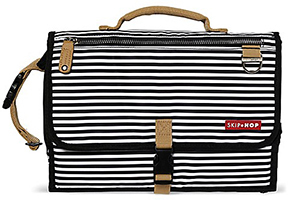 Tote Savvy: This is my “I don’t want to carry a backpack around” diaper bag. 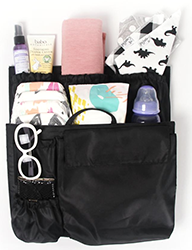 I love that you can turn any tote into an organized diaper bag with this thing. Have a feeling I’ll love it! 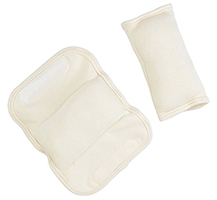 Wipes Case: Another friend recommendation that makes sense since diaper changes on the go are always happening. 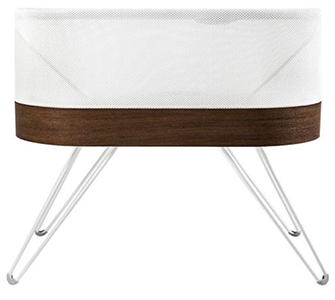 Portable Changing Station: Two of my friends have and love this, and I thought it would be great for my mother-in-law and Conor to use, or to have for backseat diaper changes. 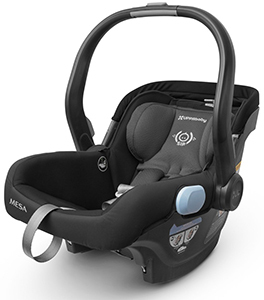 MESA Car Seat: I was so torn between this and the Nuna and from the research I did, both a great. The MESA works so well with the VISTA so I went for it. 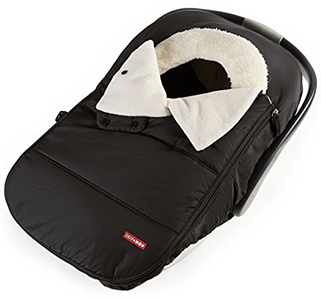 Car Seat Bunting: I registered for this and then realized I’ll probably end up liking the 7AM Enfant one a lot more since it looks so much warmer. I didn’t really add winter stuff since we’re having a summer baby, but I plan on getting the hand muffs and stroller muff later this year, and the car seat bunting if I need it. Ugh, Chicago winter. Baby Carrier: The carry options with this were the most versatile and from the research I did, this one seemed promising and had a very clean/simple look. Rava Car Seat: I figured I’d add this big-ticket item to the registry since we’ll need it in a year (luckily for us grandparents bought it! 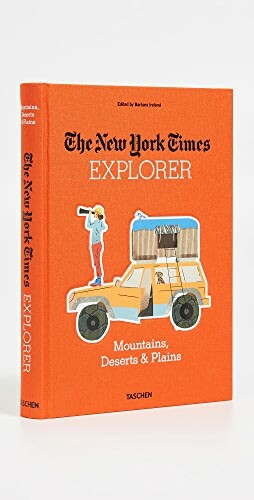 ), and the reviews on this one were great. And it’s so sleek, too. Wrap Carrier: A gift from my friend Katie when I found out I was pregnant. 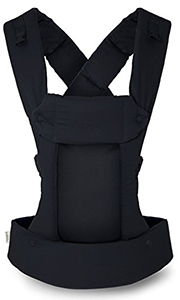 I love these sling carriers and have been told by friends that they’re the best when you want to wear your newborn for longer periods of time. 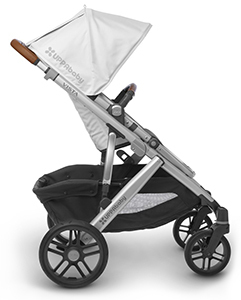 Stroller: I was torn between the VISTA and CRUZ (which had me at the brown leather handlebars) and after talking to friends, went with the bigger of the two because 1. The basket is HUGE 2. 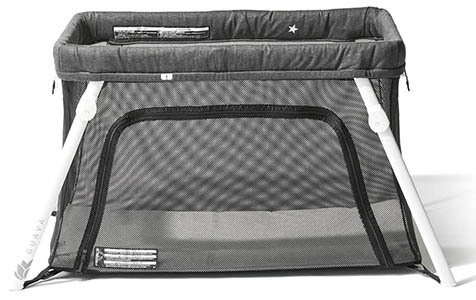 Friends swear by the bassinet the first few months and 3. 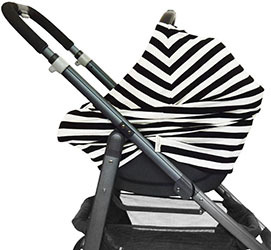 We can easily add one more stroller seat if/when we need to. 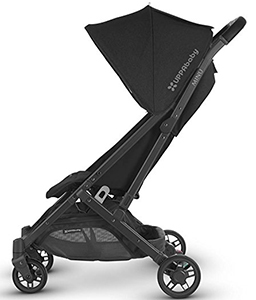 I am working on a partnership with UPPAbaby on this stroller but again, will give you my honest opinion on it. The UPPAbaby car seat and travel stroller were shower gifts from friends and family. 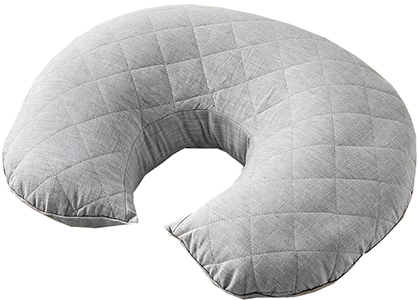 Lotus Travel Crib: So in all honesty I loved the look of the Nuna one but my friend Maura (who has traveled a ton with her kids) said I had to get this one. 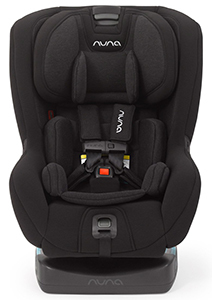 It is the lightest on the market and my back isn’t always the strongest, so being able to open it from the side and place baby in there seemed like a great feature. MINU Travel Stroller: Clean and simple, light, and super-portable, it also works with our car seat, so registering for this was a no-brainer. 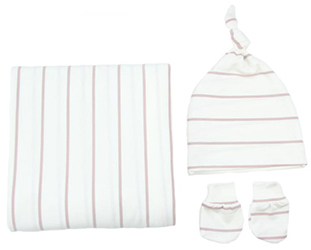 Multi-use Nursing Cover: It’s a nursing cover, car seat cover, and and shopping cart cover in one. 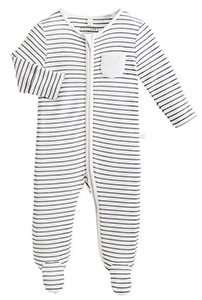 I got the thin black and white stripe but that’s sold out right now. 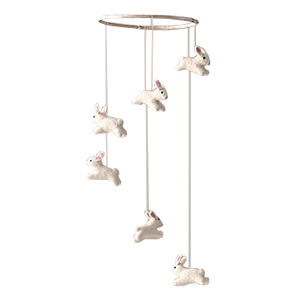 Felt Bunny Mobile: Not the most stimulating of mobiles but 1. I don’t need her stimulated while she’s in her crib and 2. Those bunnies! 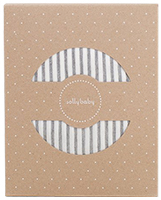 Crib Sheets: The Pehr Designs crib sheets are my favorite so far. So sweet and soft. 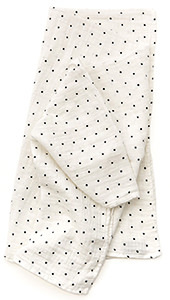 I’ve started with two (one stripe and one polka dot) and will see how many we need once she’s in there. 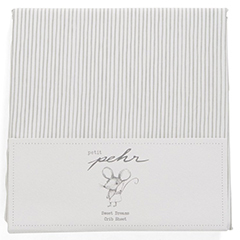 A big thank you to Pehr for sending two crib sheets to us! I plan on buying more from the brand. Belgian Linen Quilt: It’s just so pretty – currently hanging from her crib but I think she’ll spend a lot of time playing on it. 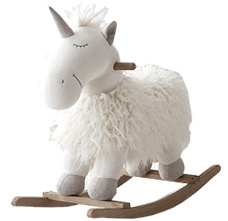 Fluffy Unicorn Rocker: I bought this for my friend Gina’s daughter when she was born (she’s almost 1.5 now) and knew I needed one, too. 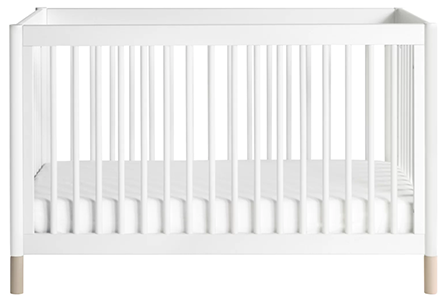 Crib: This Babyletto crib came with light wood legs that we easily switched out for white ones. Simple, clean lines, and budget-friendly. Can’t beat that. 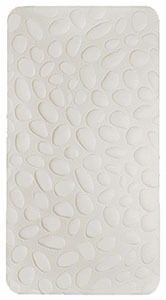 Organic Pebble Mattress: My friend recommended this one and I love it! It’s so soft and so well made. The brand actually reached out and offered to send one right before we were about to purchase it. 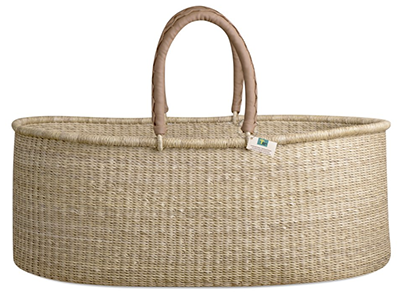 La Jolla Basket: perfect for storing all her toys. Wire Wall signs: I put these in a nursery I designed a few years ago and have always loved them, so I registered for 2 which I plan to put above her crib. 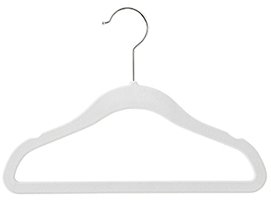 Flocked Hangers: I really, really wanted wood hangers but these were a lot more budget-friendly, so I ordered 2 boxes. 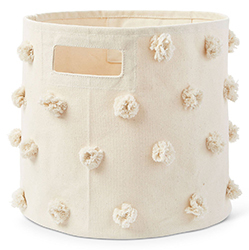 Pom Bins: Our closets are all being redone soon and i’m planning on putting these on the shelves in baby’s closet. 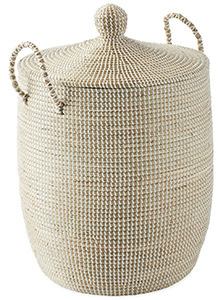 Great for storage for toys, shoes, and small accessories. And they’re awfully cute, too. Gowns: This was tricky because I went almost entirely off research here. 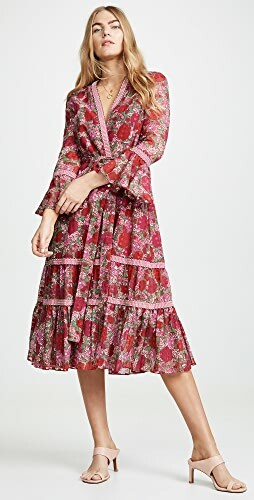 Friends seem to have mixed reviews on gowns but most said they loved them and that they were the easiest when baby is tiny, so I have about 6. 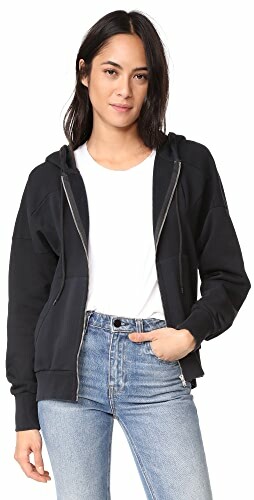 Zipper Onesies: I have about 8-10 of these and heard these are the best (outside of and post-gowns) for nighttime changes. 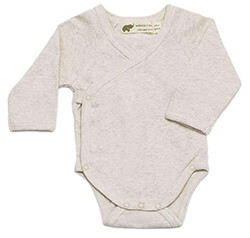 Wrapover Bodysuits: My money is on our baby having a large head since Conor was “off the charts” when he was born and I’m currently a L/XL in hats, so I made sure most tops had a wider opening, and got a few of the kimono ones (4) that don’t snap for when she’s very tiny. 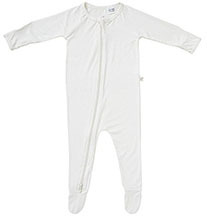 Bubbles, Rompers, and Other Cute Things: We have less than 10 dresses and rompers for 0-3 months. 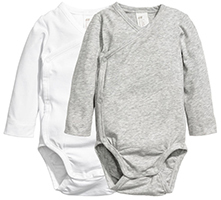 I really prefer to keep babies in cozy cotton onesies since they’re such tiny, delicate little people, so I focused on those, but needed a couple dresses and bubble rompers because they’re SO cute. 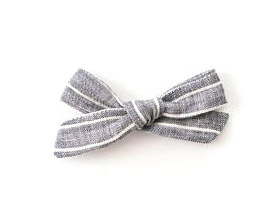 The cute stuff you don’t need: I have a handful of baby headbands and a few pairs of cute little shoes which I know are unnecessary but they’re so tiny and adorable. 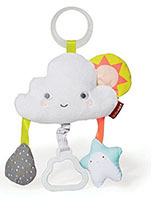 Play Gym: I found this online one day and sent the link to Alaina only to find out that she registered for it, too! Then my friend Katie got it and said Liam (who is a few months now) loves it. I love that it’s colorful but still cute, and the fact that it works through so many life stages, up to toddlerhood when it turns into a tent. Genius. 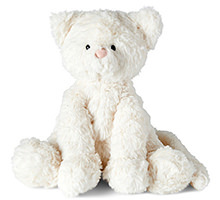 Jellycat stuffed animals: They’re so soft and so cute! I registered for a little bunny and bought the kitty since we all know how much I love cats. 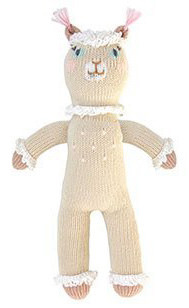 Knit Dolls: Blabla dolls have been a go-to gift for years, so I have a few for baby girl. 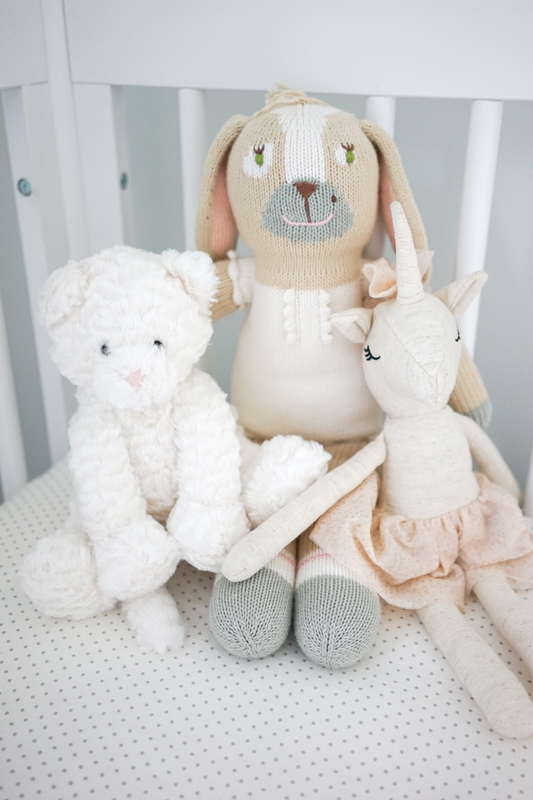 They’re so cute in a basket in the nursery and perfect for little ones to play with, too. Books: We registered for a TON of books. 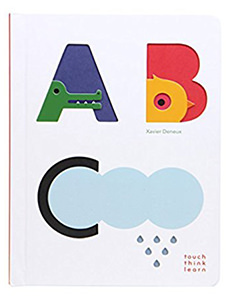 I’ll share a few favorites soon, but the Touch Think Learn ones are some of my favorites (we have 4) aside from the classics like Madeline and Eloise which were my 2 favorites when I was a little girl. 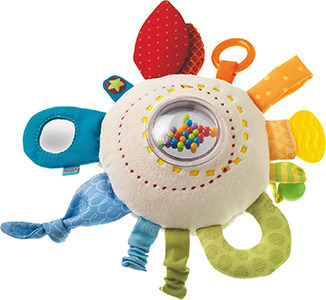 Cuddly Rainbow Activity Toy: This tiny, colorful toy is perfect for traveling and has lots of different colors and textures to keep baby entertained. 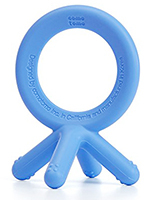 Wooden Teether: This is one of the first things I bought. 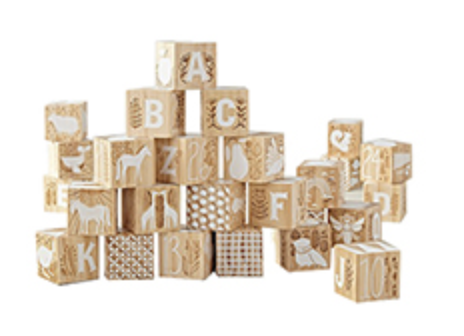 Anyone else love these wooden toys as much as I do? Fawn Doll: Again with the cute toys. These kill me. 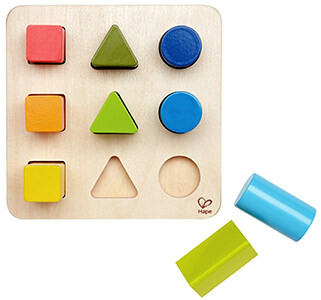 Wooden Block Sorter: I know she won’t play with this for a while but I’m a sucker for colorful wooden toys. Is there anything I need to add to this list? 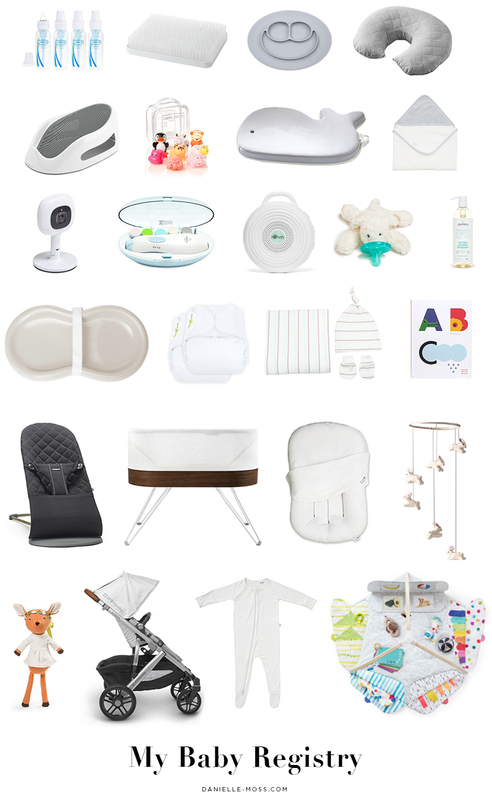 I’d love to hear about your favorite baby brands and some of your most-used items those first few months! Shop Tan Wedge Sandals, Tassel Earrings, White One Piece Swimsuit, Shoes Wedges and more. Get this widget.